Easy-to-use with a clear scale to measure drinks. 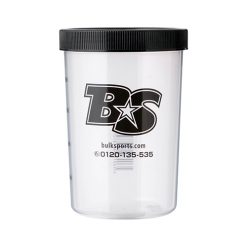 The Bulk Sports Original Shaker cup has an easy-to-use metric scale! The Shaker cup can be used to mix various Bulk Sports powder-based products, such as Big Whey, IsoPro, and Lean Gainer.